A quick picture post, more words later. 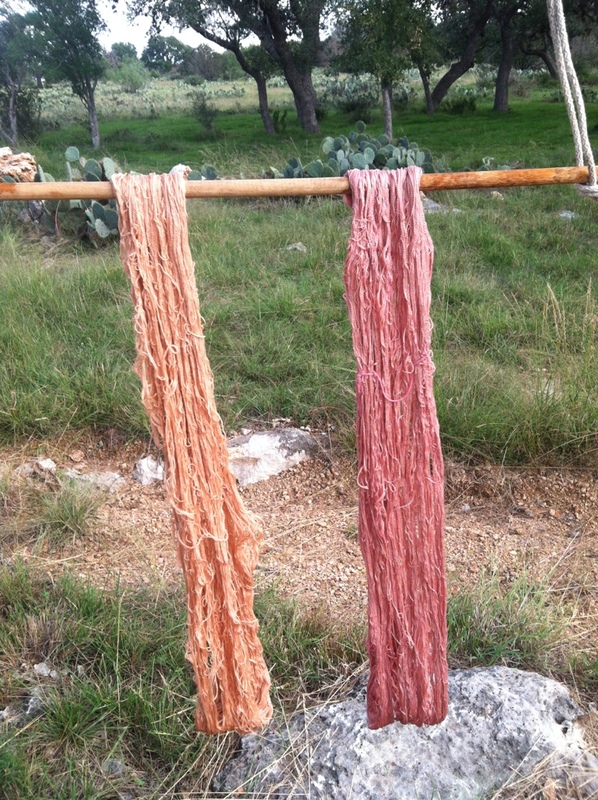 Below is my dye experiments with teloschistes exilis or slender orange bush lichen. It took over two years to collect 2 ounces of this windfall lichen plus one big damaging wind storm. 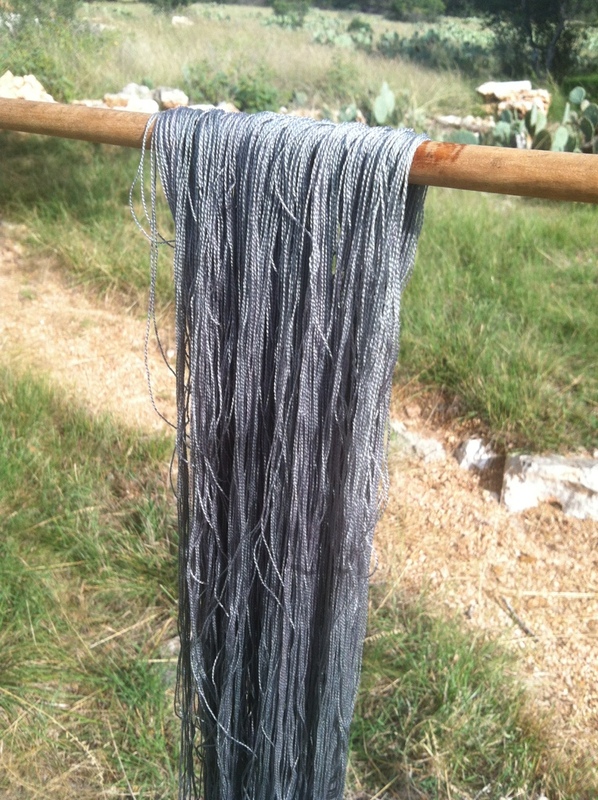 The substrate is silk. 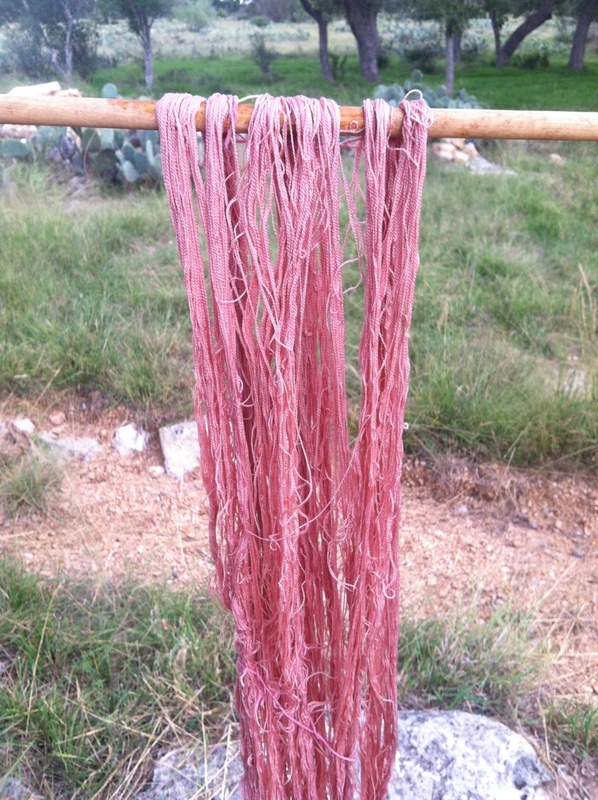 I now know this process works as well on silk as well as wool! 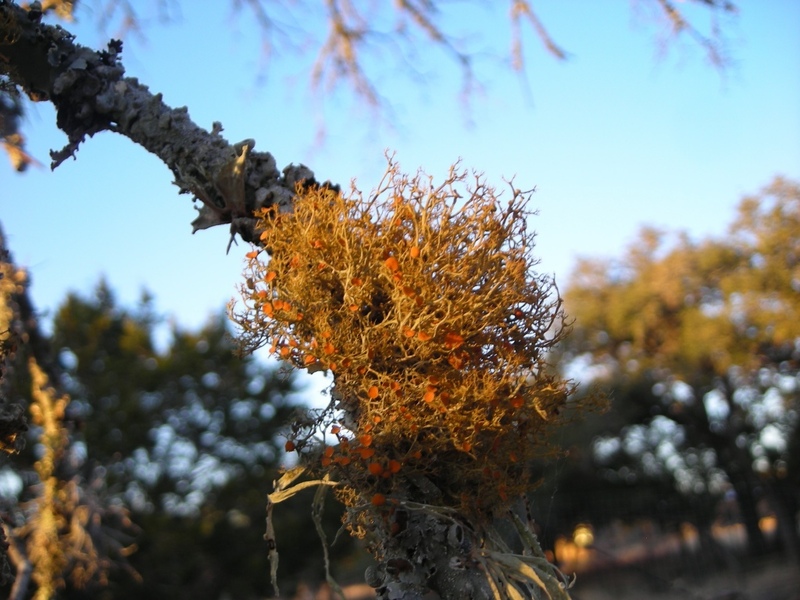 The lichen was soaked for about two months in one part ammonia and 2 part water. 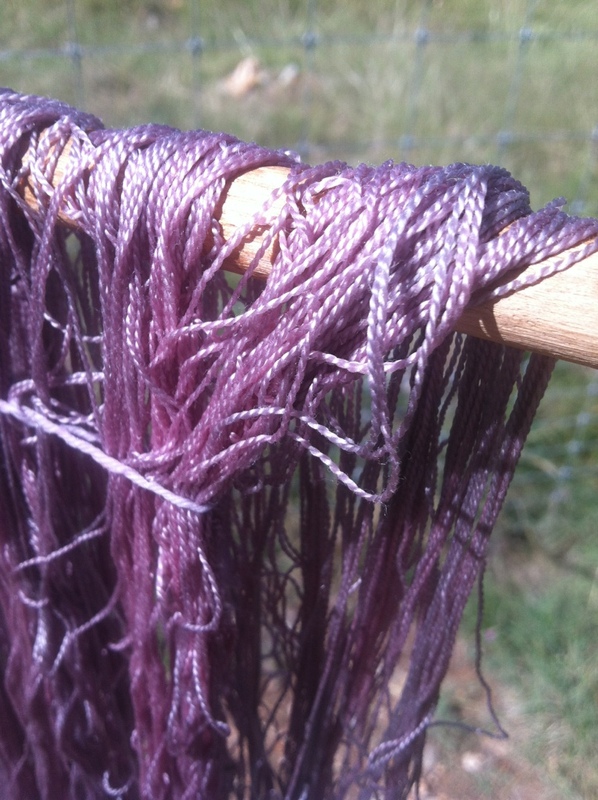 An amazing solar photosynthesis happens when you allow the skein to dry slowly in the sun. If anyone can provide input/resources on the chemical reaction taking place please let me know. For now, I am enjoying the color! 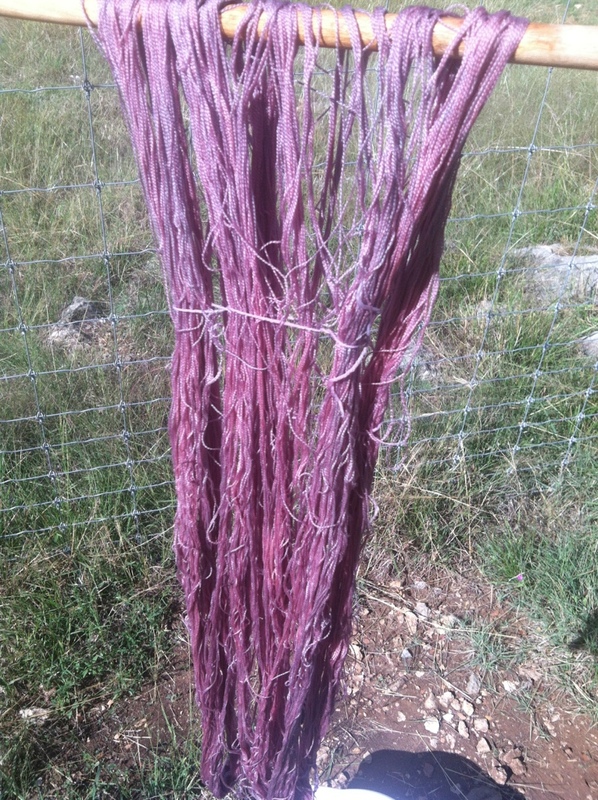 Of course if I want to keep the pink I would allow the skein to dry in the shade. See the time lapse below for the transformation from pink to blue. This final photo show the two original skeins, the one on the left was rinsed with vinegar, in other words I took the ph down. The one on the right was the one which went to blue under the sun!